This year should be the last hurrah of the aerodynamic fancy bits, the winglets and protuberances that we have become so accustomed to seeing on the cars over the last few years. For 2009, it is intended that they be consigned to the bin, as the FIA seeks to curtail downforce drastically. I do not know to what extent the new rules will meet with success, although the consensus is that they should at least assist in making overtaking easier, but there is no doubt that the cars will look very different, seeming quite plain to eyes that are used to dealing with so many add-ons. We are going to find out just how much we depended on the extras for identifying one year's car from another's. Although this will not return us exactly to the early nineties, when designs changed very little from year to year, as far as could be seen, we may still find the new look to be somewhat of a shock. Consider the GP2 cars and you will see what I mean - they look so much more simple and direct than F1 cars, almost primitive beside what we are used to. We will adjust in time (we always do) and the designers will refine the cars within the new limits so that they regain that appearance of being at the cutting edge of what we know about racing cars. But I think it will become much harder to see the tweaks and advances made; they will all be under the skin. 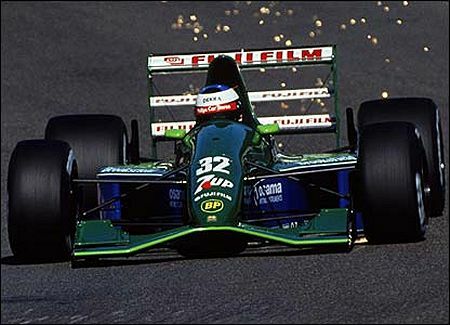 It has been aerodynamics that has driven the look of an F1 car for a long time now. So quickly has the science developed, with multiple wind tunnels and CFD computers becoming available, that the appearance of the cars has changed rapidly too. If we look back at the design of the BMW F1.07, we can see immediately that the F1.08 is a much more complex and intricate beast while the older car seems basic in comparison. With the importance of aerodynamics considerably reduced, the engineers and designers will be forced to go back into the guts of the car to make their changes and tweaks. Small changes in chassis and suspension design will give us few external clues to the advances being made and we will depend even more on the experts to point out what is being done. We might even look back with nostalgia to the days when we could discuss what effect the latest wart or duct appearing on the cars would have on the aerodynamics. But we will get over it, I assure you. When it comes down to it, F1 is about racing and the look of the cars is an accidental by-product. Presuming that curtailing the aerodynamics will have the desired effect on the excitement generated by the races, we will soon forget our misgivings and clamor for even less aero influence. And the cars will become clean and uncluttered works of art, designed primarily to cut through the air with little drag, rather than porcupines forever growing new spikes in the quest for downforce. F1 has always evolved, sometimes in one direction, sometimes in another. And we adjust with it, becoming accustomed to what seems weird at first, only to stake a claim to being "essential" to the appearance of a F1 car. This latest change in direction will be seen ultimately as a change for the better, I'm sure. I agree with you that making the car aerodynamics simpler is the way forward. But the reports that they're still considering these driver-adjustable wings troubles me. It sounds gimmicky and I'm not sure how well it will work. The GP2 concept works fine - they've even built an entirely new GP2 chassis this year and the racing is still cracking. They should just copy that. I'm not convinced by the adjustable wings though. I'm sure I've made this comment here before - but can they just get GP2 chassis and drop an F1 engine and 'box in it! The Jordon is an amazingly beautiful F1 Car. Simple and clean by design. Does this mean mechanical grip is more eye appealing then aero grip by virtue of the 'magic' being under the body and not above? I think so and I'm hoping for the best next year. I have forgotten about the sparks the cars used to leave behind. Not to change the subject too much, but the 91' Jordan looks a lot like the '08 Indy, which is why I think Indy cars look dated! On the back of a breakfast cereal box my girlfriend had left out was a Hot Wheels advert with cartoons of three car designs used in the toys. The center car was an open-wheeled, monocoque, sidepodded, winged design in a glow-in-the-dark green color, obviously intending to look fast and futuristic in the eyes and mind of a little boy. Why do I bring it up? Its shape contained a single-plane "elephant eared" rear wing a and a single front wing, and the car had a shape that suggested the use of ground effect, though I doubt any Hot Wheels car has ever been to the wind tunnel. If a little kid thinks that a car with shapeliness but otherwise simple wing designs is fast and futuristic, even seeing the truth of what F1 cars are now, maybe the sport is moving in the right direction after all.